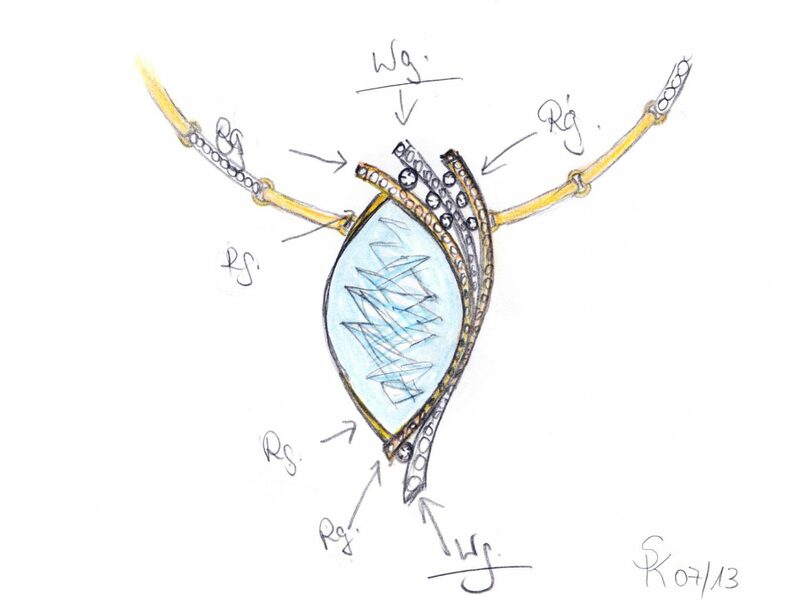 The beauty of a precious gem deserves a jewellery design that showcases its full potential. Descended from the same master cutters as Alexander, Sonja Kreis and Vanessa Kreis use the polished precious gem as their muse. They spend hours touching, feeling, and looking at the gem until their ideas start to form. Those ideas are then transferred onto the page in the form of sketches. Because we are a family business, Sonja and Vanessa also know the provenance of the stone, they know its history and the journey it has taken from rough stone to work of art. This too provides inspiration. It’s a continuous work in progress. Where the rough stone has already been cut to show its unique qualities, so it must then be mounted in such a way as to blur the boundaries between jewellery and art. From what angle does the stone capture the most light? 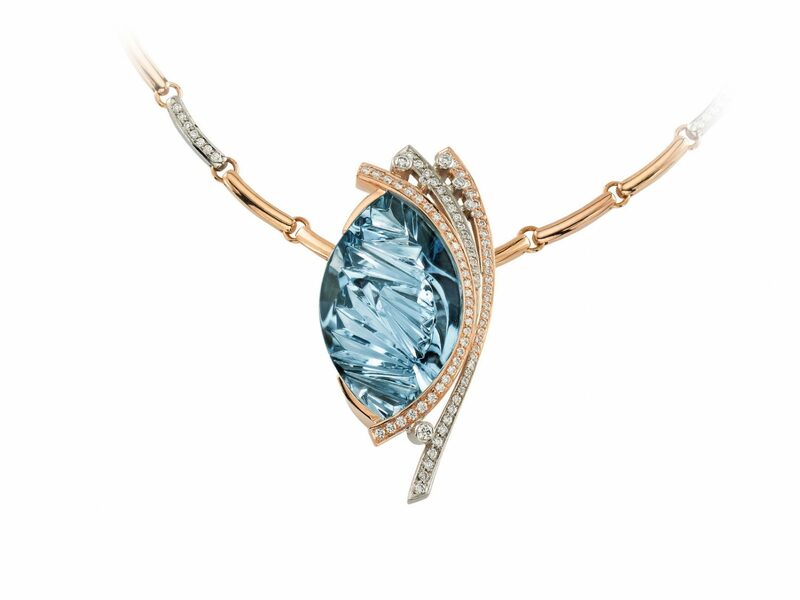 What metal will do justice to the intensity and beauty of the stone’s colour? What design will truly match the personality of its owner? It may take many weeks before a final design is decided upon. We know each precious gem inside out because we cut it ourselves. We understand the intricacy of everyone, and we know that each and everyone has different obstacles in the cutting process that must be overcome. We can draw on centuries of cutting experience and knowledge passed down from one master cutter to the next. That knowledge means that we know how to mount it into a piece of jewellery that will bring out its full beauty, and become a pleasure and a privilege for its owner to wear. Each and every piece is handcrafted in-house, adhering to the highest standards of craftsmanship. Many have become collectors’ items for clients not just in Germany but as far away as Singapore, Hong Kong and the USA. Our highly discerning customers often want their very own unique piece of jewellery made. We take our time; we visit the customer as many times as it takes to consult during what is essentially a collaborative process. We bring out the best of the precious gem and marry that with our customer’s lifestyle and personality until we design them a one-of-a-kind piece. Many of our clients are already the second and third generation, a fact that we are extremely proud of. No precious gem is the same; each has its own attitude, its own brilliance, and own trajectory of where the light shines through. In the same vein, no customer is the same; each has his or her own attitude and preferences. It takes time to find a match, but the end result is worthwhile. The same is true for collectors. We have a fairly sizable customer base regarding collectors of jewellery and gemstones. The investment gems start as a one-of-a-kind find back in the mines to which Stefan and Alexander travel. Some can only be found in one place in the world. By their very nature, they are already distinctive. They become as integral a part of the home as a master painting might be; an object to be admired and savoured in the private moments and serenity of the remains of the day.